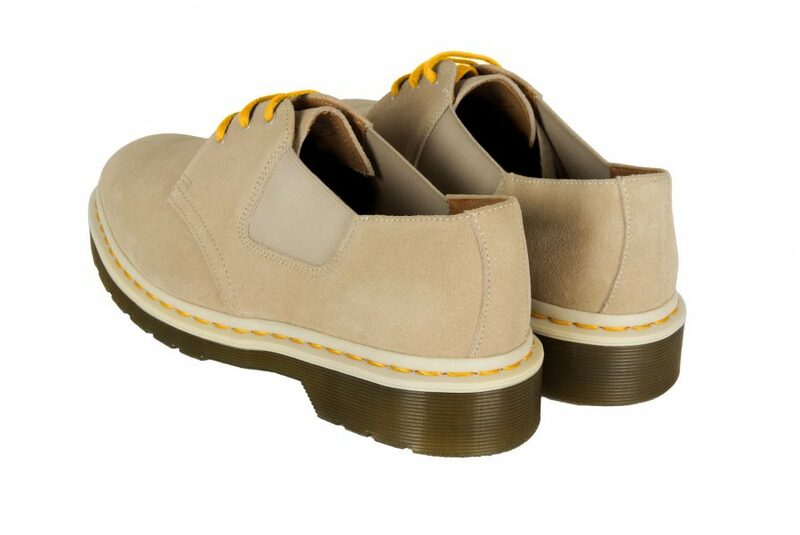 Dr. Martens are proud to present a collaboration with respected Japanese fashion retailer united arrows & sons. The high-concept store offers street-influenced design and considered garments, an ethos that has informed this limited edition dm’s shoe. 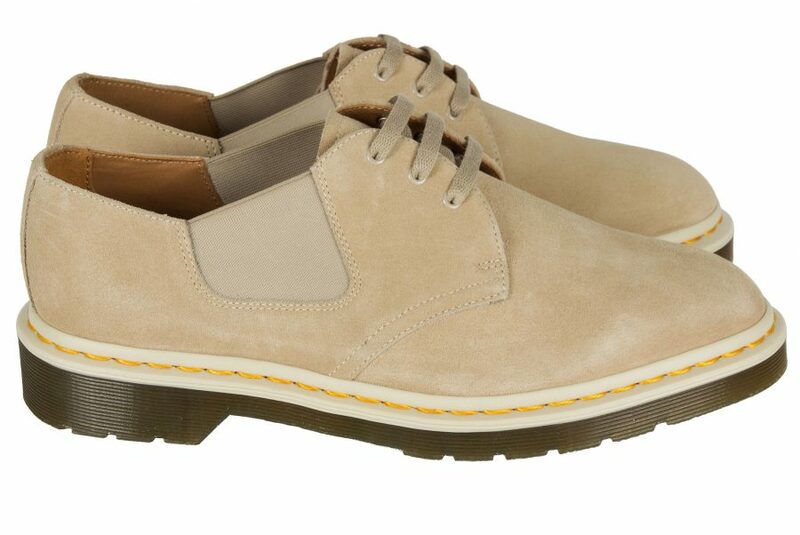 The minimalistic remake of dr. Martens iconic 1461 3-eye shoe style starts with a soft, milkshake-coloured upper, engineered in a waterproof hi suede for practicality. 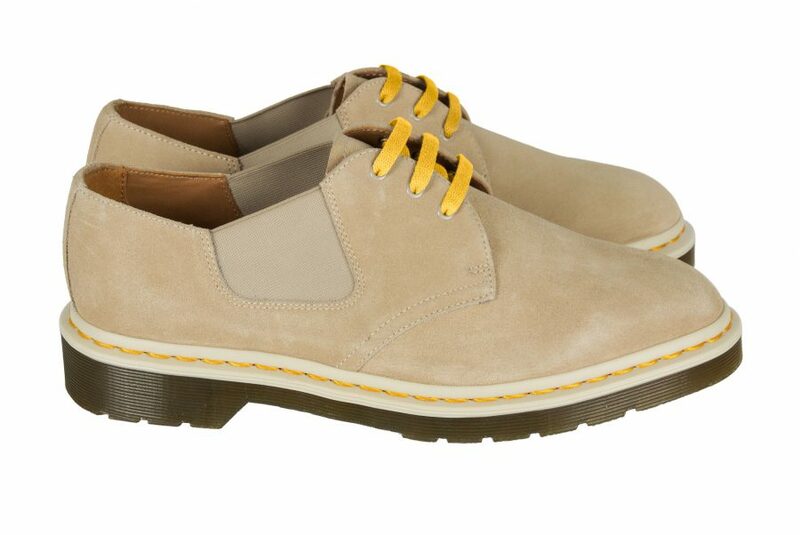 The yellow stitch found on all DM’s core styles is still present, as is the tough Goodyear welt, here in a tonal colour rather than the traditional black, offering a slick finish. 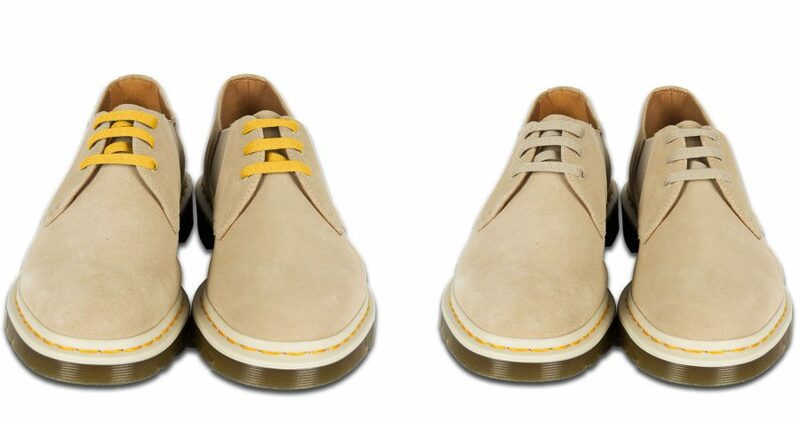 The laces are a contemporary flat style and come in a choice of Milkshake, or DM’s yellow for a pop of colour. An elasticated side gusset offers a modern perspective on this well-loved style, while the shoe is finished with a durable, slip-resistant sole. 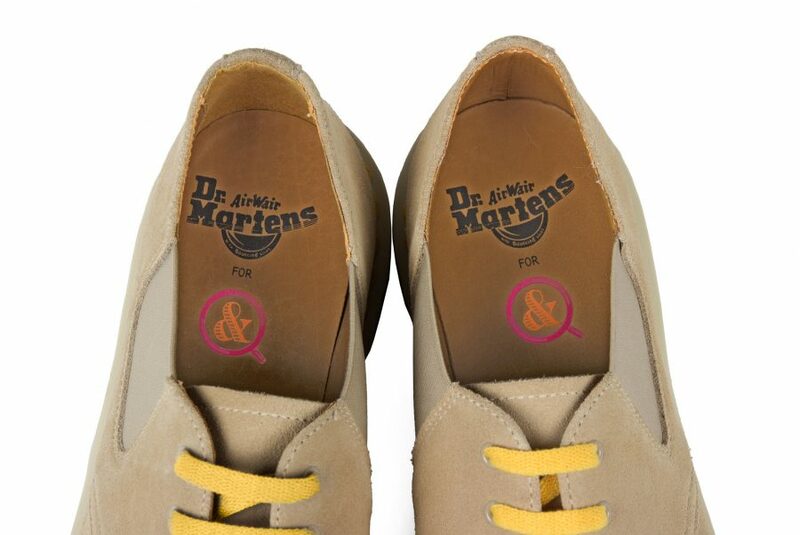 The shoe’s sock-liner features dual branding from Dr. Martens and United Arrows & Sons and the shoes will come presented in a bespoke shoebox.